Antifa activists could be jailed for up to 15 years for wearing masks under a bill introduced by a US congressman. If passed, Bill HR 6054 would punish anyone wearing a mask or disguise who “injures, oppresses, threatens, or intimidates” someone else exercising a right guaranteed under the Constitution. The title of the bill — “Unmasking Antifa Act of 2018” — makes it clear that Antifa activists are its intended target, but the bill’s text never explicitly mentions them. 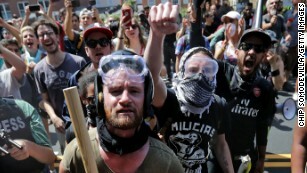 The bill, which was introduced by Republican Rep. Dan Donovan of New York last month, has drawn widespread condemnation from critics who claim it unfairly targets Antifa activists, while it could embolden the far-right demonstrators Antifa protests against. “This is another draconian measure to actually criminalize dissent in the United States,” said Scott Crow, a former Antifa organizer and author. 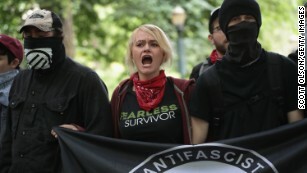 The term “Antifa,” short for “anti-fascist,” is used to refer to a loose coalition of individuals with left-leaning political views that often fall outside of the mainstream Democratic Party’s platform. The group has no figurehead or official governing body, but members — some of whom turn to radical or militant tactics to make their views known — generally oppose the inequality of wealth by corporations and discrimination against marginalized communities. They often wear black and obscure their faces while protesting. The Antifa movement’s profile has significantly risen in recent years, especially after members clashed with self-described “white nationalists” in Charlottesville, Virginia, last summer — a day that ended in tragedy when a James Alex Fields Jr. allegedly drove a car into a crowd of counter-protesters, killing one demonstrator, Heather Heyer. Crow said the bill is an attempt by lawmakers to avoid tackling the issue of hate speech and instead address a “symptom” of it by targeting protests. Donovan’s office sent out a fact sheet that pointed out other instances in which Antifa activists exhibited violence, including an instance in February 2017 where they turned up to protest at a speaking event held by right-wing commentator Milo Yiannopoulous at UC Berkeley. Donovan’s spokesman Patrick Ryan also pointed out that the bill would simply add a section to federal civil rights statutes to include a penalty for wearing a mask. 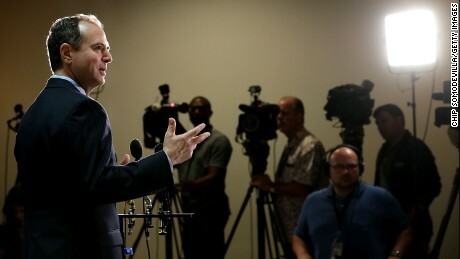 “My bill expands upon long-standing civil rights statutes to make it a crime to deprive someone of Constitutionally-guaranteed protections while masked or disguised,” Donovan said in a statement sent to CNN. But regardless of whether the bill becomes law, Crow said it won’t stop protesters from wearing masks.